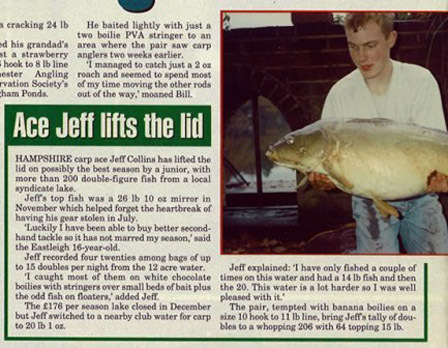 Like many anglers, Jeff’s love of fishing began at the tender age of 10, catching grayling and brownies on the River Itchen with his much loved Woolworth’s starter kit and a bag of sweetcorn. 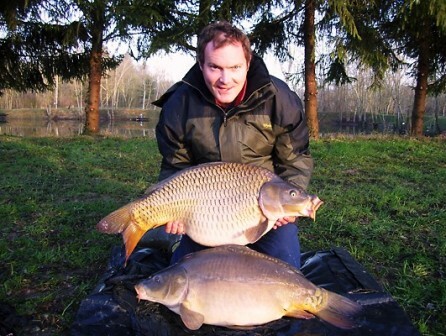 One day Jeff had a go for the carp at a local clay pit. On his second trip, armed with luncheon meat and a washing up bottle top he caught his first carp, a three pounder. That was it, he was hooked! Young Jeff earned money every weekday evening, cleaning cars and dog walking. Every weekend his mum would take him to the lake straight from school and come and pick him up on Sunday afternoon. When he wasn’t fishing Jeff was either, making bait, tying rigs, reading about fishing or dreaming about catching his next carp. 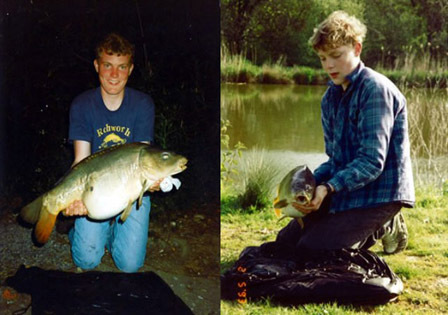 When Jeff was 15, he managed to buy a season ticket for John Paton’s fishery, Fishers Pond in Colden Common. This historic lake contained many carp over 10lbs including several 20 pounders. He practically lived at the lake and met many people who were key to his development as a carp angler. There, he helped look after the fishery and enjoyed lending a hand with numerous work parties, including netting and draining the lake at the end of the season. 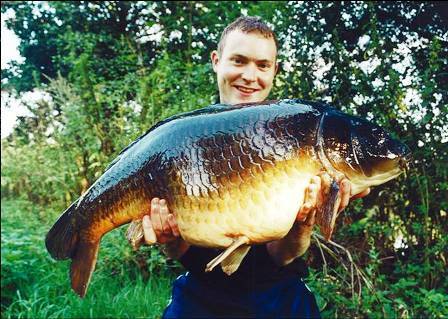 Jeff caught this well known Nutsey common carp five times in pursuit of the lake’s even larger resident the mirror. After expanding his life experience travelling in Australia for a year wetting the occasional line, Jeff returned to the UK and lived for 5 years in central London. Unfortunately but inevitably, responsibilities caught up with Jeff who could no longer down tools and go fishing on forecasts of plummeting air pressure and south-westerly winds. The team spent many weekends in France in search of the perfect venue and eventually we found what was to become Lake Juvanzé and we knew instantly that this was the one. 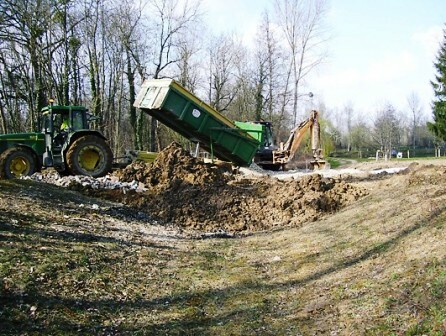 Lake Juvanzé is a 5 acre mature gravel pit dug in 1983 and left untouched until we bought it in 2006. 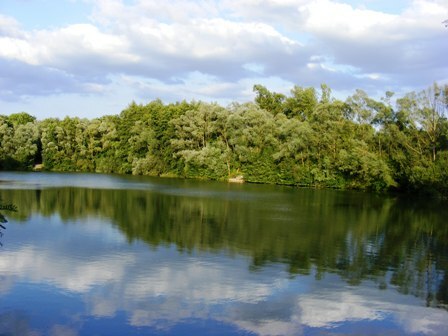 The lake is set in a quiet wildlife preservation area in France’s Champagne region, next to the River Aube which feeds the famous great lakes of Amance, Temple and the Orient. 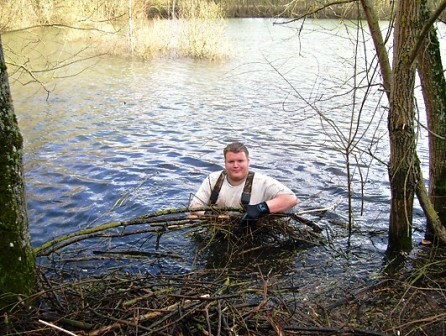 The lake was developed by Jeff Collins, a young carp fishing enthusiast, with help from Viv Shears of VS Fisheries and Sparsholt College students. Jeff designed the water specifically for the UK angler who wants a peaceful, mature lake, with fewer anglers, and good action. There are 5 swims, two of which are doubles and the lake is available for exclusive bookings. 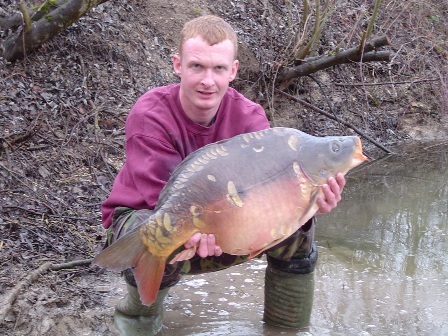 It was stocked in February 2007 with 180 mirrors, commons and grass carp averaging 21lb. The fish have done extremely well and the average weight in 2017 was over 40lb. The biggest help came from Sparsholt’s Viv Shears who worked with us on the planning and stocking policies, plus the team of lads from Sparsholt’s fisheries course who were also the first people to fish the lake. 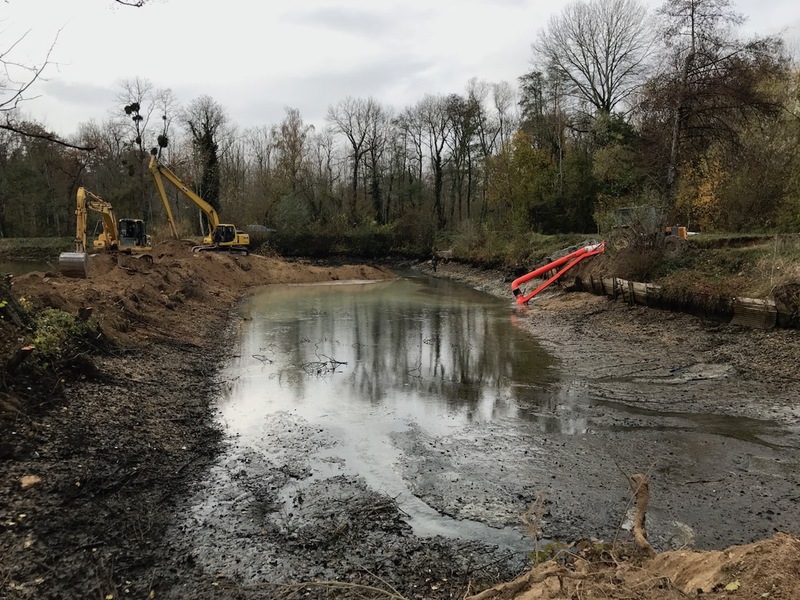 The team from Sparsholt arrived in the cold month of February 2007, three weeks after initial stocking and set about cutting swims and thinning trees and the banks to create suitable swim areas and good casting space. The five swims were cut to maximise the available space but without crowding. 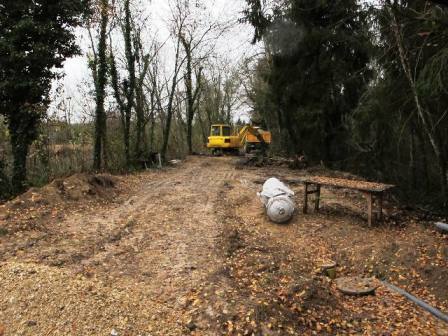 Deadfall was removed from the margins and the south bank levelled for the lodge. 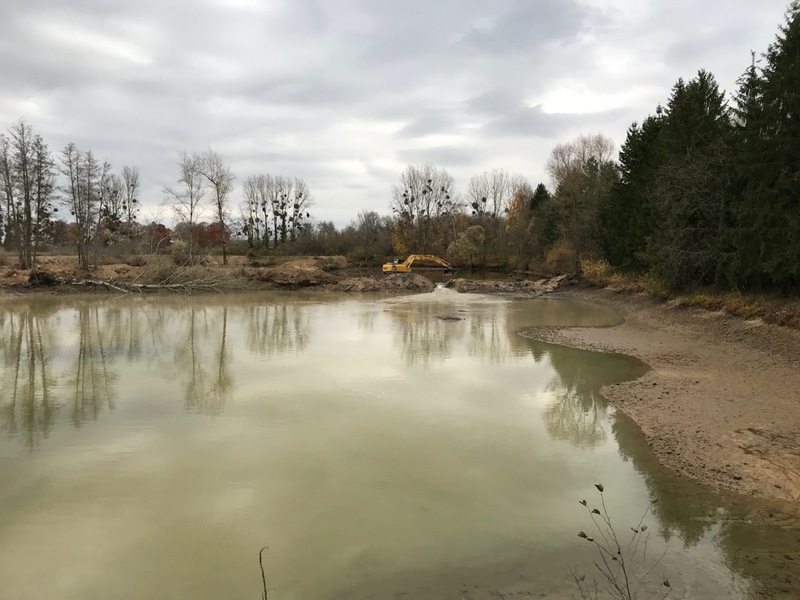 The plan was to retain the natural features of the lake and preserve the ecology of the area. At nights they were let loose on the virgin lake to put themselves against it for the first time. For 12 nights they fished the lake with Jeff and between them they caught 159 carp totalling 3,200 lb. The fish were introduced into Lake Juvanzé in February 2007. We decided to stock a lot of fish with the intention of creating a 'runs water' with a good average size. 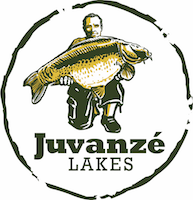 In November 2011 Juvanzé Blue was stocked with mirrros to 55lbs and commons to 50lbs. 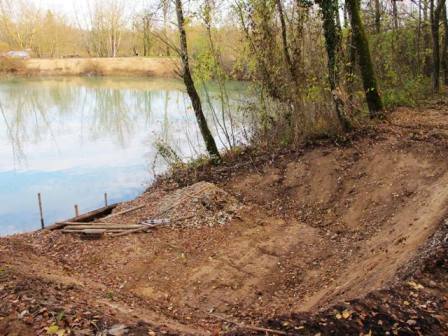 During the winter of 2011/12 a lot of work was done to turn this neglected gravel pit into a high standard fishery. 5 swims were built (including one large double and one smaller double). 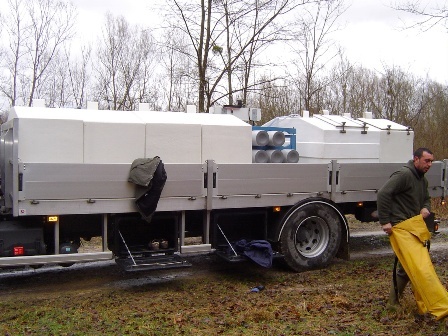 Electric and water supplies were installed and a shower room was built. Juvanzé Blue opened in April 2012 . Late in 2017 we turned four lakes situated between Lake Juvanzé and Juvanzé Blue into one new lake and created what we're sure will become the new favourite here, Juvana! 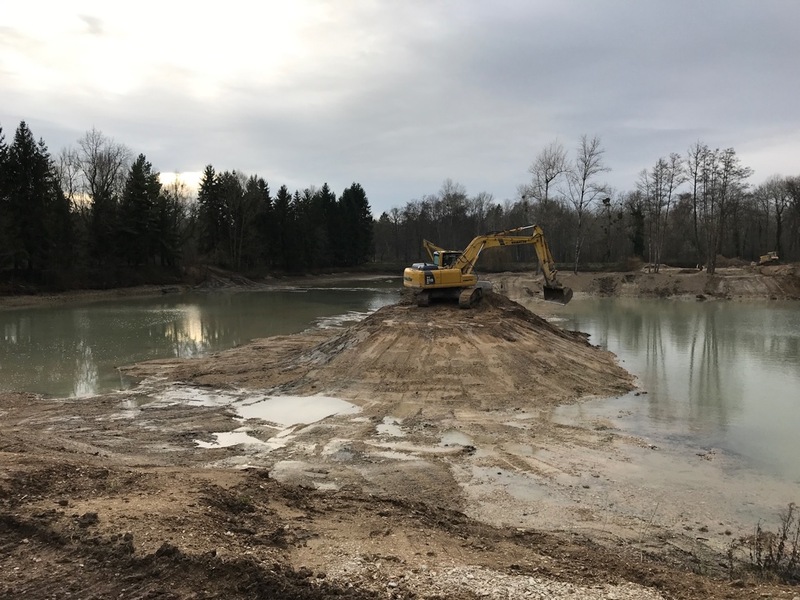 We took a gamble waiting until the end of the season to start the work, fortunately we got lucky with the weather and water levels and were able to create exactly what we hoped. The whole project was captured using a GoPro, more than 12,000 time-lapse photos were used to make a video showing the creation of Juvana. Juvana was designed for groups of mates that prefer to fish close together on holiday, without compromising on the fishing. There are four swims fishing out from a central island, all with plenty of water and loads of features. The lake was stocked with over 200 carp to just over 50lb with an average weight of 20lb.